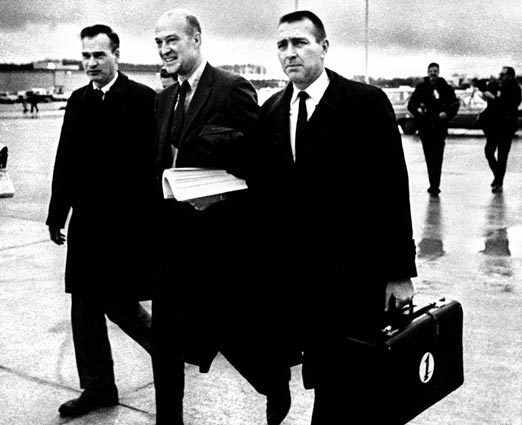 9 February 1969: At 11:34 a.m., Boeing Chief Test Pilot Jack Wadell, with Engineering Test Pilots Brien Singleton Wygle, co-pilot, and Jesse Arthur Wallick, flight engineer, took off from Paine Field, Everett, Washington, aboard RA001, the prototype Boeing 747-121, FAA registration N7470, and made a 1 hour, 15 minute test flight. The ship was named City of Everett after the home of the factory where it was built. 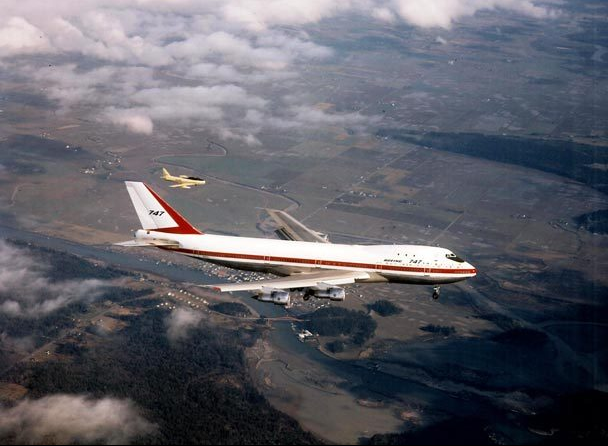 The 747 was the first “wide body” airliner and was called a “jumbo jet”. 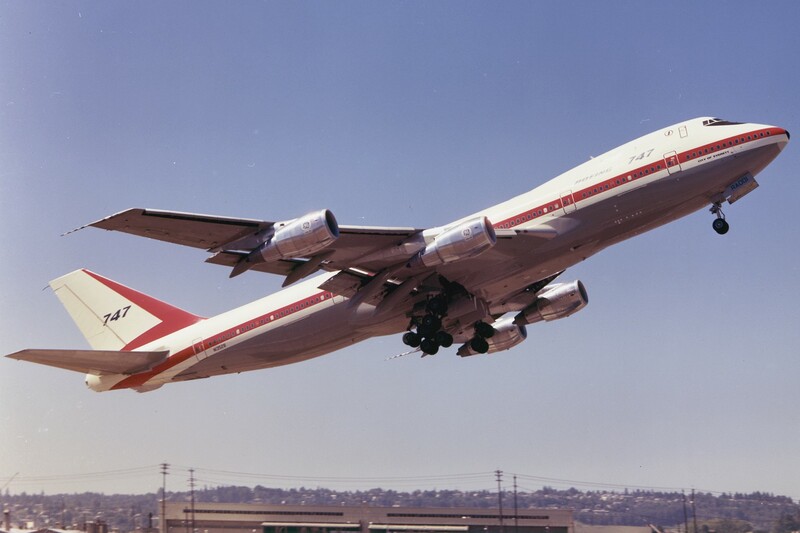 It is one of the most widely used airliners and air freighters in service world-wide, and is still in production after 45 years. The latest version is the 747-8, the “Dash Eight.” As of December 2012, Boeing had built 1,458 747s. 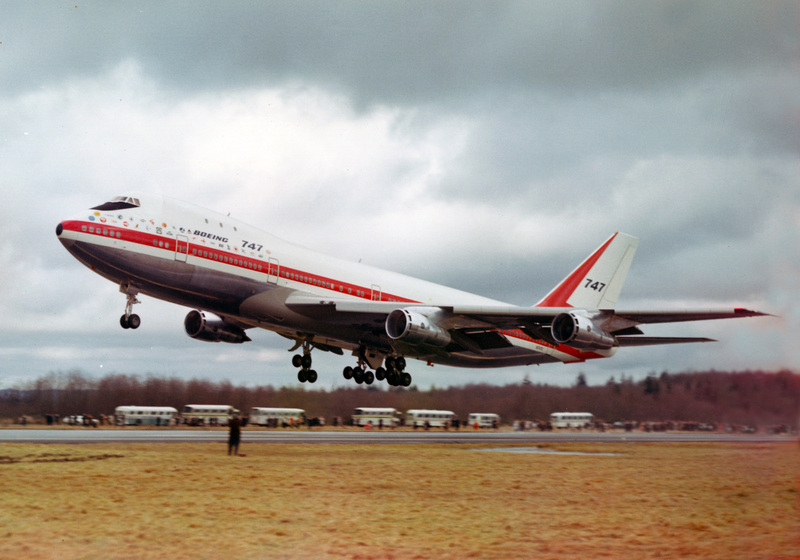 The 747-100 series was the first version of the Boeing 747 to be built. 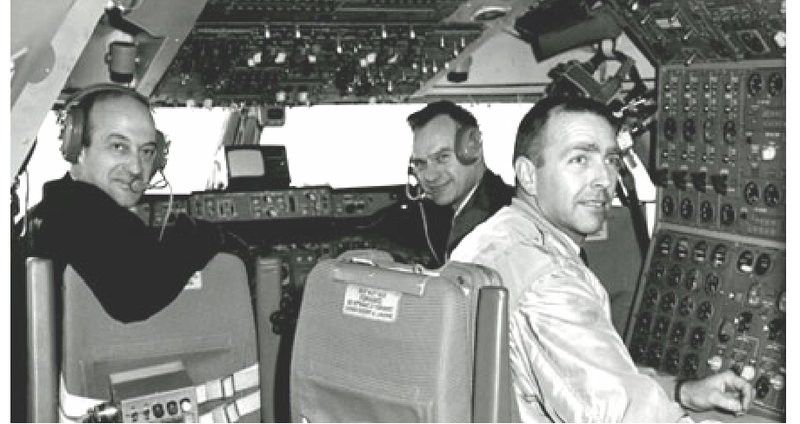 It was operated by a flight crew of three and was designed to carry 366 to 452 passengers. It is 231 feet, 10.2 inches (70.668 meters) long with a wingspan of 195 feet, 8 inches (59.639 meters) and overall height of 63 feet, 5 inches (19.329 meters). The wings are swept aft to 37° and have a total area of 5,500 square feet (511 square meters). The interior cabin width is 20 feet (6.096 meters), giving it the name “wide body.” Its empty weight is 370,816 pounds (168,199 kilograms) and the Maximum Takeoff Weight (MTOW) is 735,000 pounds (333,390 kilograms). 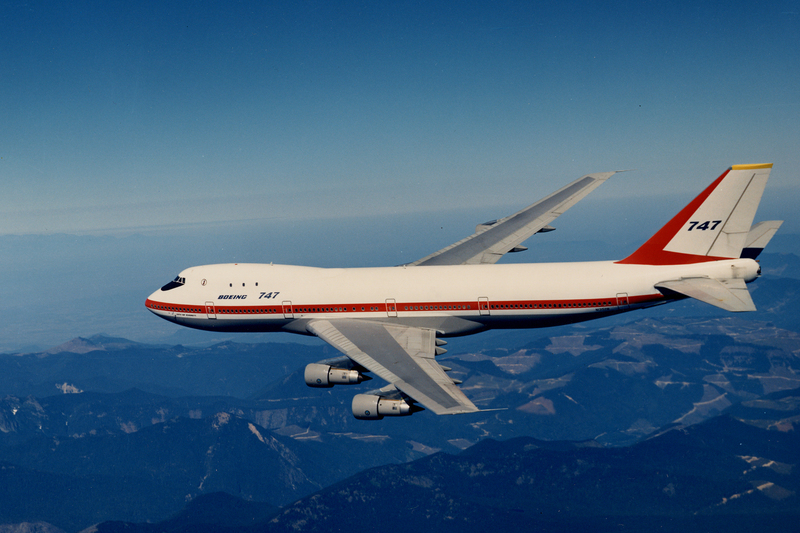 The Boeing 747 has been in production for 48 years. More than 1,520 have been delivered to date. 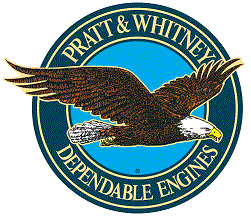 205 of these were the 747-100 series. The U.S. Air Force has selected the Boeing 747-8 as the next presidential transport aircraft. City of Everett last flew in 1995. It is on static display at The Museum of Flight, Boeing Field, Seattle, Washington.